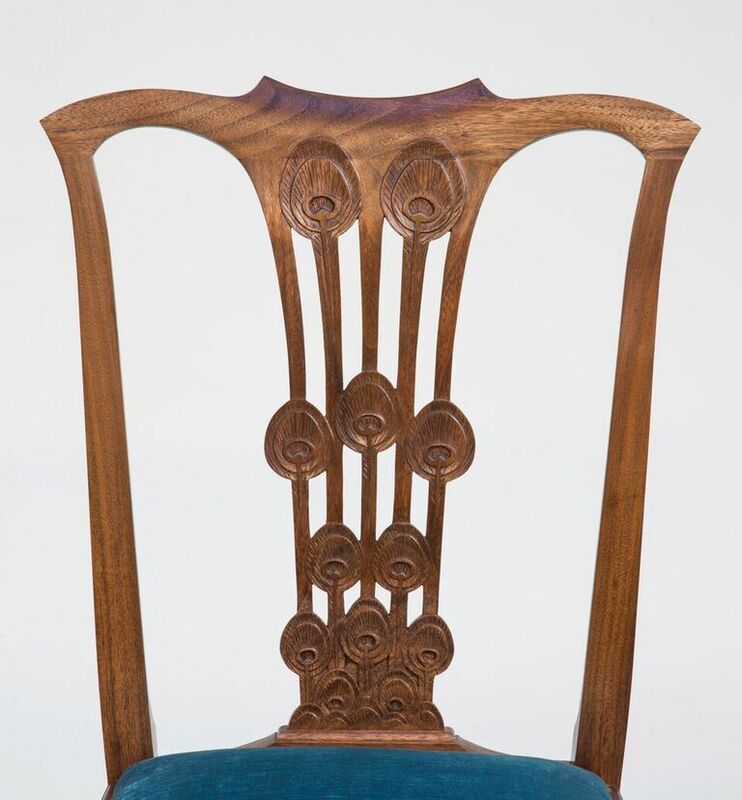 Traditional built chippendale chair, with the back redesigned and inspired by peacock feathers. Unique Chair. 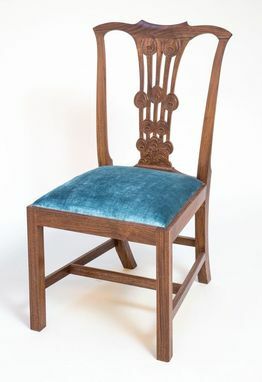 different wood options and fabric available, as well as quantity.